RF-Lambda launches education focused programs for Gold Star families focused on creating fun and engaging experiences to develop strong character, self confidence, passion and strength in knowledge. RF-Lambda attends European Microwave Week (EuMW )2017 in Nuremberg, Germany in partnership with EMCO Electronik GMBH. RF-Lambda attends the 2017 Electronic Design Innovation Conference & Exhibition (EDI CON) in Boston, Massachusetts as a Gold Sponsor. RF-Lambda introduces a new line of solid state USB controlled RF switches and a new series of wideband solid state power amplifiers from 50W to 150W CW to their product line. RF-Lambda releases a new high power 140W 6-18GHz EMC Benchtop Solid State Power Amplifier (SSPA). 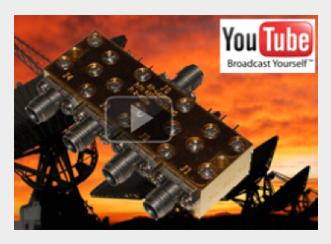 RF-Lambda releases a series of high power GaN Amplifier System (ITAR) to cover X, K, Ku and Ka band for Missile Defense Applications. Product and Partnership Announcements: Rohde & Schwarz announces that RF and microwave component manufacturer RF-Lambda has chosen the company's R&S ZVA vector network analyzer and R&S FSW signal and spectrum analyzer after an in-depth analysis. RF-Lambda releases a new series of 84-100GHz wide band amplifiers which has been successfully tested and deployed on- site. Joint product development and press release with Triquint for designing the next generation of GaN (Gallium Nitride) wide band power amplifiers and high power GaN switches. 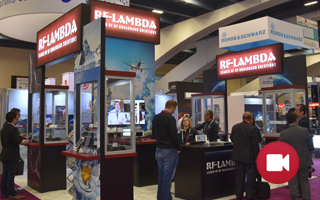 RF-Lambda announces it will make a $2 million investment for the research and development of RF components meant for space applications with processes and packaging that will push the boundaries and offer frequencies up to 120GHZ. RF-Lambda is proud to announce the opening of our new R&D facility in San Diego CA. Our new facility will specialize in Defense & Aerospace qualified products. We celebrate 5 years of providing high power circulators and of continuous business with NSCL (National Superconducting Cyclotron Laboratory). RF-Lambda collaborates with TE Connectivity for the purpose of the implementation and qualification of the RF-Lambda Multiplexers into AT&T and Verizon Wirelesses next generation LTE Network.